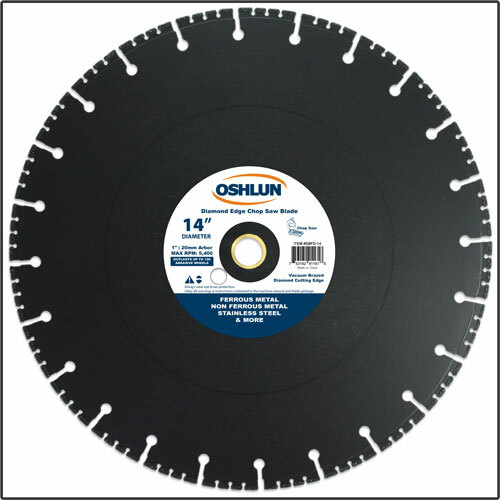 - Constant Cutting Width 0.135"
Our diamond chop saw blade is ideal for cutting all types of metals, including stainless steel, with an abrasive chop saw. It can also be used to cut almost everything including plastic, fiberglass, concrete, and rubber. The premium diamond edge will last up to 100 times longer than a standard abrasive chop saw wheel. SBFD-14 14" 1" with 20mm Bushing 0.135"